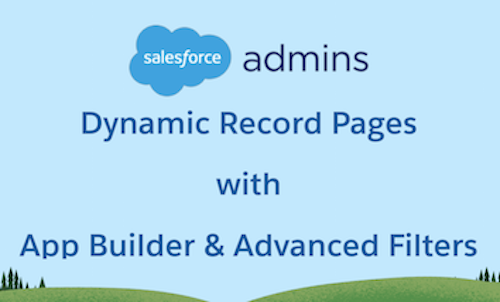 We know driving adoption is hugely important to your role as a Salesforce Admin and moving to Lightning is quickly becoming just as important. The key to a successful adoption program is being able to track your success. 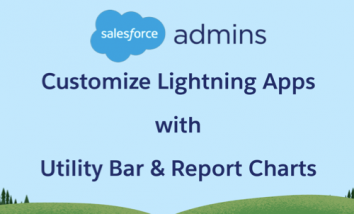 Salesforce is making that easier for you with the Lightning Usage App. 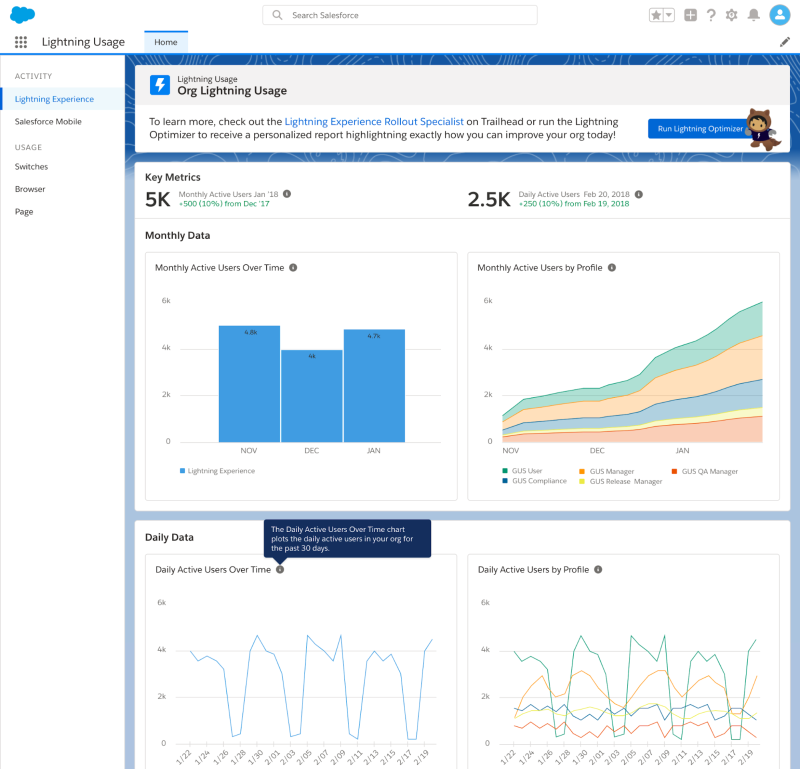 Whether you’re looking for insights on how your users are using Lightning Experience or a quick way to measure your org’s Lightning Experience usage, this app can help! What is the Lightning Usage App? The Lightning Usage App is a new way to track adoption and usage of Lightning Experience, so you can monitor progress and make informed decisions. 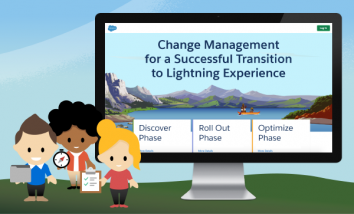 With insights like daily active users, the number of users switching to Salesforce Classic per day, and the most visited pages in Lightning Experience, you can better understand your users’ needs and focus on the issues that really matter. And the best part? 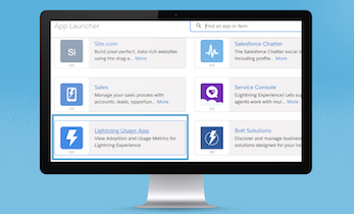 The app is free to all Salesforce customers and available right from Lightning Experience. Simply click the App Launcher icon in the navigation bar, type Usage in the search box, then click Lightning Usage. In the app, click tabs in the ACTIVITY or USAGE sections on the left side of the page to view the associated data. We’re excited to share this new app with you. Check out the Salesforce Summer ‘18 Release Notes for all the details. And stay tuned for even more metrics and options, coming in the near future. 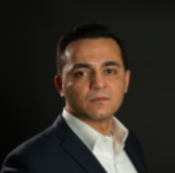 Senior Director, Product at Salesforce.